The boots that don’t have to be bought every six months! 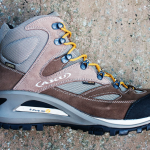 Every new hiker knows that there is no good hiking trip without a good pair of hiking boots. You want them to give you confidence no matter how the trail/weather conditions get, to be comfortable, to look cute enough and to be worth their money. At least, this is what I want from my hiking boots. When it comes to my hiking boots, I am willing to pay something extra as I take it as an investment in my hobbies- and I don’t want to go shopping every six months. Finding these Aku boots was a real discovery for me, the greatest in a very long time and I can’t praise Aku enough for the high quality boots they’re making. Aku made its way on this market by adding an exoskeleton to the boots, which is in fact a lightweight frame applied to the boot that gives more stability and support in all the important places. This skeleton doesn’t add weight, and the boot doesn’t become bulky either. 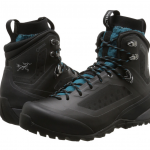 This exoskeleton is also a shield against the elements, small rocks, debris and has no influence whatsoever on the ability of the upper part of the boot to ventilate and to wick moisture. Actually, if it weren’t visible, you wouldn’t even notice the exoskeleton, as it adds very little weight to the boots. The boots are highly breathable and they’re able to regulate the warmth and the comfort of the feet, keeping them dry, warm and fresh in every season. I tried these boots on cold weather and on warm as well, and they performed great in both cases; kept my feet warm in winter and dry in the summer. 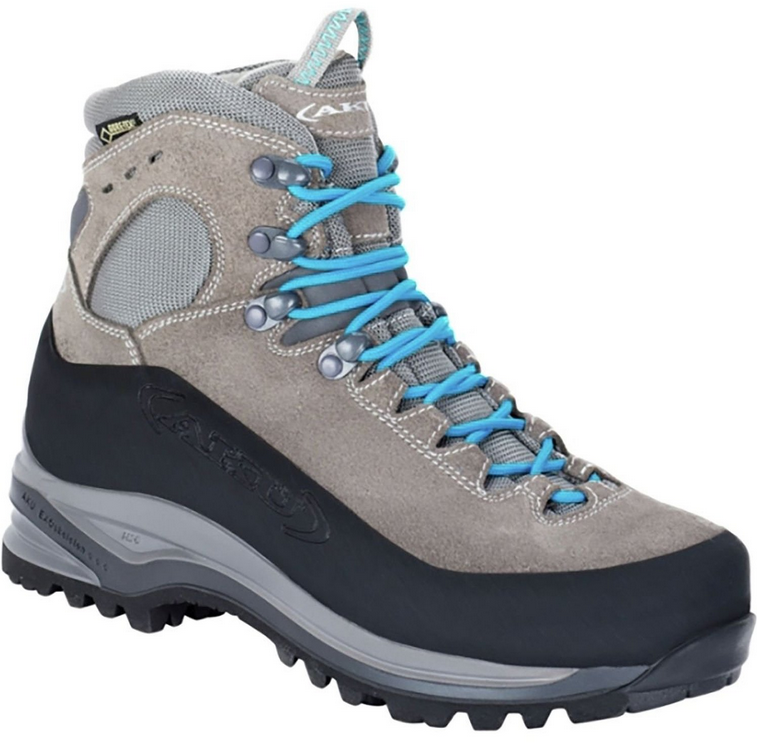 When it comes to performance, these boots have a good grip and they work amazingly well on rough, mountainous terrain. 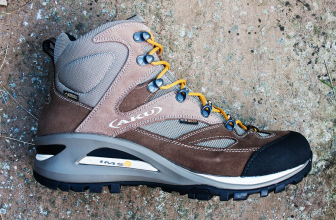 This is why they don’t just do well as hiking boots, but also as trekking and mountaineering ones. The boots fit great and are cushioned enough to provide plenty of support. The Vibram sole is sturdy and gives stability on all kinds of surfaces, rocky, muddy, or wet. The toe box is protective and the ankle support is just fine. The lacing system keeps the foot tight. The design, the versatility are also amazing on these boots. There aren’t many things to complain about when it comes to these boots. They are a bit stiff at first, but this is normal for most hiking boots. Plus, I think the boots run a tad large and…. pricey. Regardless of these minor issues, I still think they make wonderful hiking boots that are worth every penny.